Hi everyone! I have the January Polish Pick Up Exclusive from Alter Ego for you today! The first Polish Pick Up theme for 2018 is 'Crystals and Gemstones'. Cynthia from Alter Ego has drawn her inspiration for her contribution from rose quartz. Rose Quartz is a shimmery pale pink. I used 3 thin coats and finished with topcoat. This shade is pretty unique in my collection and it feels very delicate and girly. The formula was good and easy to work with though a little thicker than I'd generally expect for a shade like this. Rose Quartz will be available from January 1st at 11am EST until January 8th at 11:59pm EST along with polishes from other brands with the 'Crystals and Gemstones' theme! Scintealliant, as you can gather from the name, is a stunning teal holo and the obvious choice from Camille who loves this colour. The formula is excellent and the colour is just so rich and vibrant. I'm not necessarily a holo fanatic but this is one of the best in my collection for sure. Unfortunately, like with many colours from Enchanted Polish, Scintealliant is no longer available to purchase directly but you may be able to pick it up second-hand. Girly Bits Ooh La La was a limited-edition for The Indie Shop in November 2016 (I know, I'm way late!) and is packed full of ultrachrome flakes that shift from fuchsia to green as well as red and silver microglitters and pink shimmer! I used 3 coats of Ooh La La alone and topped with topcoat but I've seen swatches of it layered over other colours. I'll have to try playing with some base colours too as I really love this polish. 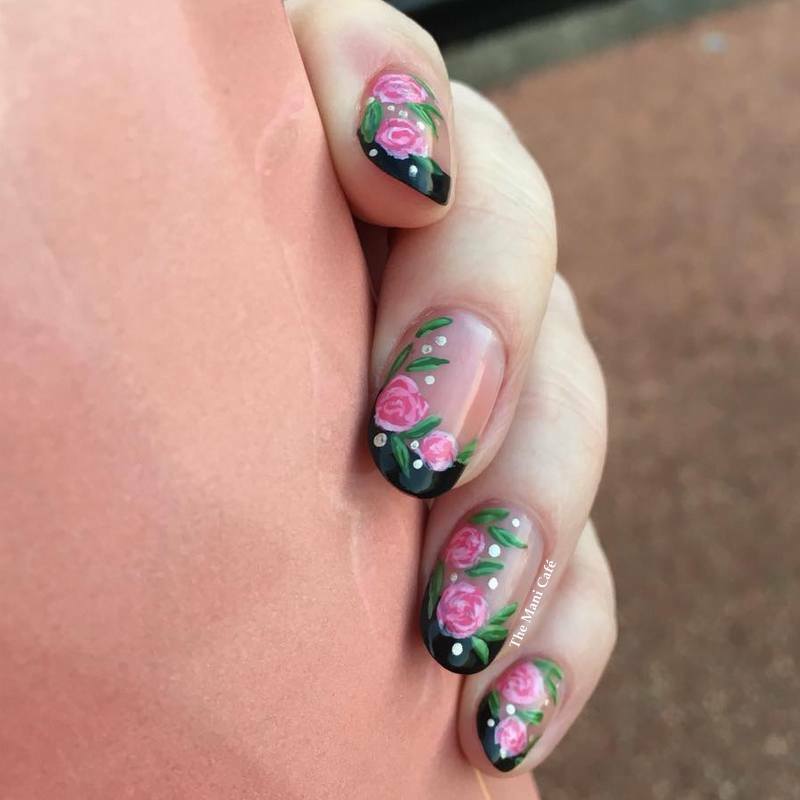 Pam always knows how to make the best and most complex, unique polishes! What do you think of this colour? Did you pick it up when it was released? Again, I'm sorry this colour is no longer available but do check out Girly Bits for other polishes just as gorgeous as this. Hi everyone! Today I have another mani 'from the vault' to share with you. I'm slowly catching up and getting things posted that I wore a long time ago! I loved this mani and if you're a regular reader, you might have noticed that I don't wear matte nails very often, I'm definitely more of a shiny, glossy topcoat kinda girl. But here is a rare exception. I started out with 2 coats of OPI Miami Beet which is just perfection and a 'classic' to me. I then stamped with China Glaze Admire (a metallic pink which works perfectly for stamping) and Emily de Molly EDM01 plate, . I finished with topcoat then a Butter London matte topcoat. I like the fact that it's metallic but matte. Like how I love flakies matte too. Much more interesting to me than just a plain matte polish. What do you think of it? Are you more of a matte or shiny topcoat fan?